Far Cry 5’s delay means it’s still more than three months away, but it looks like it should be well worth waiting for. This fifth main instalment in the long-running franchise brings the action back to the present day, after the historical setting seen in Far Cry Primal. The game takes place in Montana’s fictional Hope County — and it’s not the kind of place you want to get lost in. Hope County, you see, has been taken over by a Mr Joseph Seed: a preacher who believes he has been sent on a mission to keep his people safe by setting up what appears to be a sanctuary. Of course, there’s more to this than meets the proverbial eye, and Seed has actually formed a heavily-armed doomsday cult. After an attempt to arrest Seed goes south and a number of police officers are slain, you — as a sheriff’s deputy — have to save Hope County from Seed instead. In the traditional Far Cry way: with guns, vehicles, tactical thinking, and guts. Still, while Fary Cry 5 continues to recycle some of the familiar elements established throughout the series’ run, it makes some big changes — and they’re all pretty exciting. 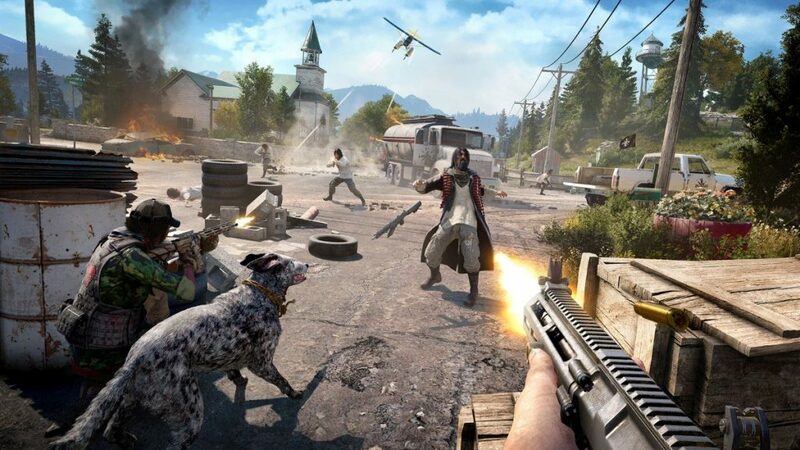 One of the coolest new features Ubisoft Montreal is introducing in Far Cry 5 is the comprehensive character-building system. Previous Far Cry games cast you as a specific character, but how memorable have these been? This time, you’ll get the chance to choose what your hero looks like, tweaking their gender, their skin tone, and their overall appearance. This won’t necessarily change the storyline, but it will give you an opportunity to take greater control of the game and feel more invested in your character. It may help you to feel more immersed in the action too, rather than playing as the kind of faceless hero you’ve seen in plenty of other FPS games over the years. Not everyone in Hope County is on Joseph Seed’s side. Certain characters might choose to join you and fight to bring him down, thanks to the new recruitment system. The ‘Guns for Hire’ facility gives you a choice between three partners with their own personalities and special abilities / skills. The stealthy Grace, for example, is able to cover you from afar courtesy of her sniping skills, taking down enemies to even the odds against you. Nick, another buddy, can take to the sky in his cropdusting plane and perform air strikes on your behalf, taking bad guys out with machine guns or bombs. He’s even happy to loan you his plane too, so you can take out Seed’s army from above. Soaring over Hope County shows the gorgeous graphics and design off beautifully, with a real sense of scale. Boomer is your other option: a loyal, smart, friendly dog who can get into areas you can’t and tag enemies to make it easier on you. He’s clever enough to bring you guns from dead enemies when you can’t reach it yourself — helpful if you’re pinned down with all clips running low. His animations and behaviour are impressive too, and his AI seems to be of a high standard. 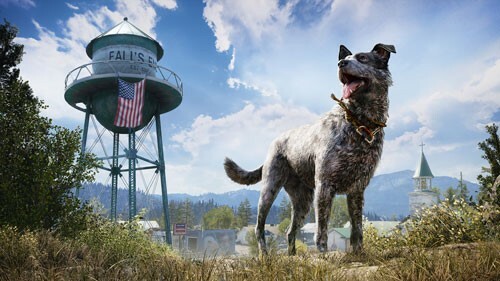 You can recruit other ‘Fangs for Hire’ like Boomer, befriending certain Hope County animals to help you end Seed’s madness. This follows on from the taming system seen in Far Cry Primal, and should help to make the environment feel even more realistic and immersive. Far Cry 5 gives you the chance to play solo or co-op for the entire campaign, a first for the franchise. It looks as if the single-player campaign won’t be affected by this, though, or feel like an add-on. Other multiplayer modes will be available too, and an expanded map editor is set to appear, offering you the chance to design your own custom environments. Another fascinating thing about Far Cry 5 is its setting: Montana. This is the first game in the series to be set within the United States, rather than an exotic jungle or other isolated location. The religious themes and the American setting have proven controversial, but it looks like Ubisoft Montreal know what they’re doing. Far Cry 5’s Hope County looks authentically Montana-esque, and it’s not so surprising when you learn the team spent two weeks scouting the area, getting a feel for the place. 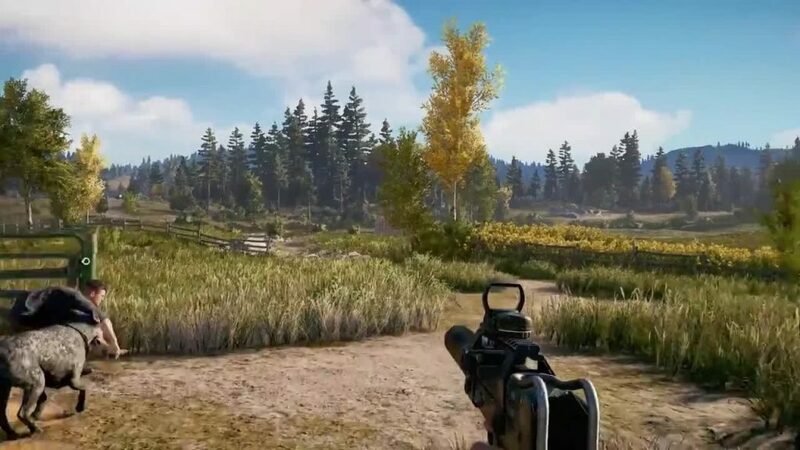 Far Cry 5’s mountainous, forest-laden locations look stunning, as you’d expect, but they feel alive too, with enemies’ cries and gunshots feeling particularly realistic. You can explore on-foot or jump in one of various vehicles, liberating different areas of Hope County as you go. Far Cry 5’s change to an American setting is a big step for the series, but it looks set to pay off. Will it be the best Far Cry game yet? We’ll have to wait until the end of March to play it in full and find out! 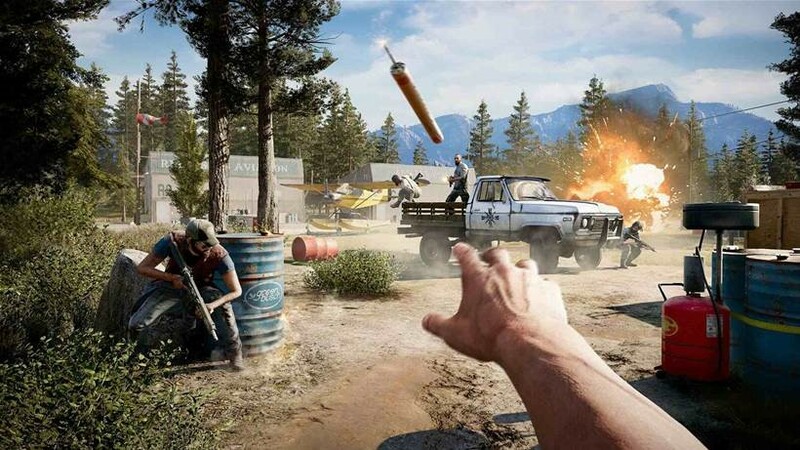 Are you excited for Far Cry 5? Let us know!